Next week, Danish grower Rosa Danica will put its first own bred Isophylla campanula on the market. After pot roses, the campanula is their biggest year-round crop, but so far, they only had the portenschlagiana type in their assortment. Now they added the first Isophylla type, namely IceBlue. This season, they will put a small portion, around 5,000 plants per week, on the market, and will adjust next year's production according to the feedback they receive. 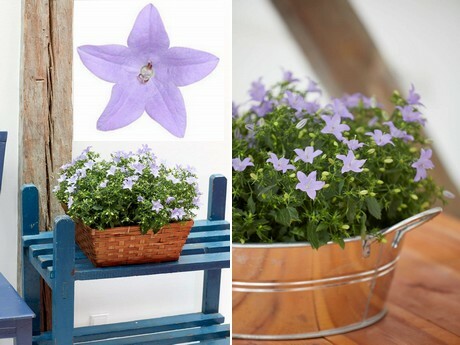 "Historically speaking, the Isop hylla - also known as Star of Bethlehem - is probably the oldest campanula species grown. It was always known as a grandma plant with a trialing habit and quite a bad shelf life. 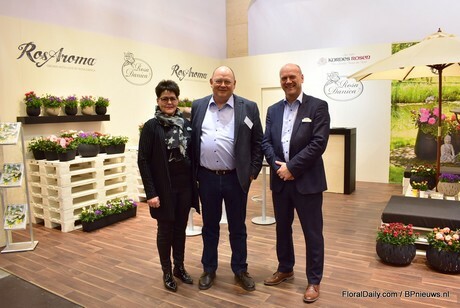 We saw a good potential for this type, and we therefore started to breed it ourselves several years ago", says Gert Jensen of Rosa Danica, breeder of IceBlue. According to him, this new variety is characterized by its flower color, upright habit, easy to grow habit and good shelf life. "The color is what catches the attention, but when breeding, we look at the varieties' habits first. For us, as breeder, it is an easy to grow variety - if being grown in the right climate conditions it is a well branching naturally compact variety - and the shelf life is between 4-6 weeks." The first IceBlue campanulas will be on the European market in small numbers this week. "We will only produce 5,000 plants a week until September", says Torben Modh Madsen, CEO of the company. This is just a very small portion of their total campanula production - of the portenschlagiana type, they produce about 80,000 plants per week. "It is all about trialing the variety and gathering the feedback. Therefore, during this season, we will also send samples to our customers and cash and carries. Afterwards, we will see how the demand develops and how we will continue the production next season." Over the last years, the demand for campanulas has increased, explains Madsen. And so did the production at Rosa Danica. 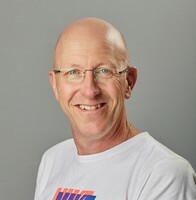 After the bad spring in 2018, which was caused by the weather, hopes were high for this season as the weather has been better. However, the demand is not as high as expected. "The demand is certainly much higher compared to last year, and we are far from unhappy, but it did not follow the growing trend that we expected. We sell everything, but it takes a little more effort than expected to sell the final 10 percent of the production", Madsen says. What could be the reason? Madsen has no clue. "We kept increasing our production volumes, so maybe this increase in production is the reason that makes selling the final plants a bit more challenging."